In third grade, Maryrose drew a Lincoln penny. It was displayed at the Hudson River Museum in Yonkers, New York. Since then, she has painted, designed, sketched and written poetry. In 1988, Maryrose designed a zoo van for the Henry Doorly Zoo in Omaha, Nebraska. This prompted a press shoot with Governor Orr of that state. 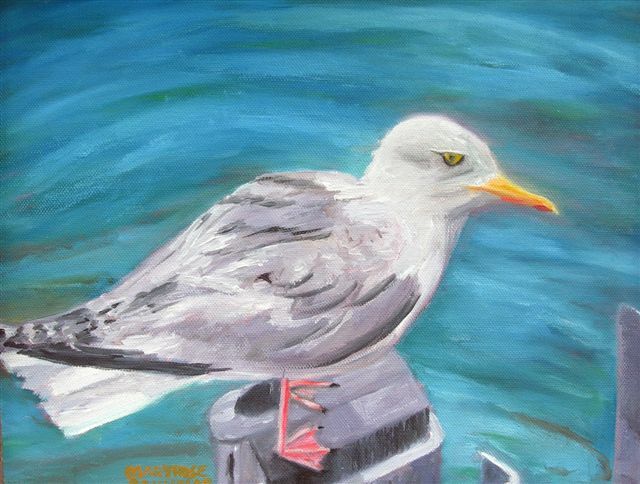 Maryrose is a resident of Harwich, Massachusetts. She loves animals, her charismatic Newfoundland Dog and picturesque Cape Cod. Maryrose’s work history was one of teaching in New York State and living in the Midwest. She worked for the Department of Parks, Recreation and Conservation of Westchester County, New York. 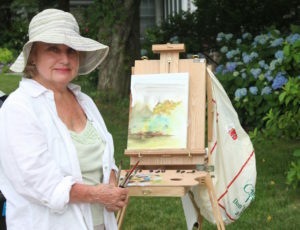 In “Parks,” she was able to display her oils which portrayed lovely Long Island Sound. Regarding Art, Maryrose agrees with Marshall McLuhen, who said “Media is the message.” She believes all art should meet with respect, be valued and encouraged to flourish, that art, as a delivery form, is potent and that our world is a better place because of the messages of the Masters.